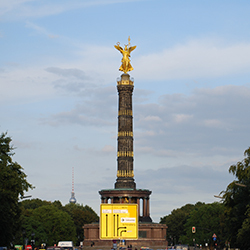 Your guests can reach Kurfürstendamm and Potsdamer Platz in just a few minutes. Our individual, privately managed hotel, located in a Wilhelminian-style building, is in the heart of Berlin's City West. Berlin is always worth a visit. We can organise city tours, boat excursions and admission tickets for musicals and theatre performances.